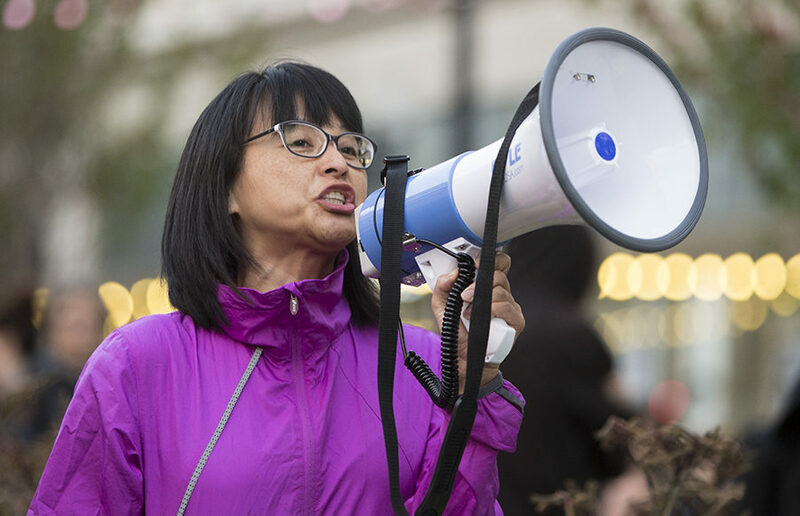 Felarca’s attorney and BAMN activist Ronald Cruz said the judge granted the defense more time to review the evidence that the prosecutors produced against Felarca. Felarca faces these charges for allegedly attacking Nigel Walker, according to the complaint. A BAMN press release states that Felarca and other BAMN members were protesting a “recruitment rally” for “neo-Nazi/KKK members” in Sacramento before the 2016 election. Shelly Orio, a spokesperson for the Sacramento County District Attorney’s office, declined to comment on the litigation because it is a pending case. 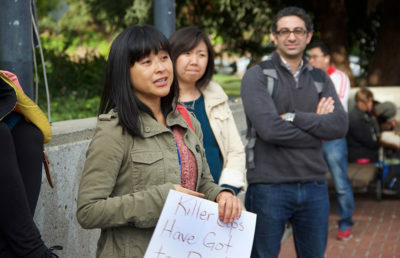 According to Cruz, 25 individuals from the Berkeley community came to the courthouse Wednesday to support Felarca. Cruz said the prosecution asked the judge to ban Felarca from participating in current protests as long Felarca faces charges. The judge, however, only warned Felarca to not participate in any illegal activity. Felarca confirmed that she is pleading not guilty to all charges. Porfirio Paz and Michael Williams, the two other protesters who were arrested in Sacramento, have already been arraigned, according to Cruz. 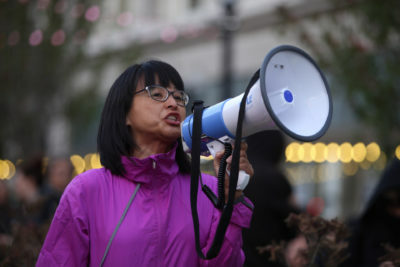 Felarca was also arrested Sept. 26 on suspicion of battery and resisting arrest at a free speech rally in Berkeley held by Patriot Prayer leader Joey Gibson. Cruz said Felarca’s court date for the September incident is scheduled for Oct. 26.